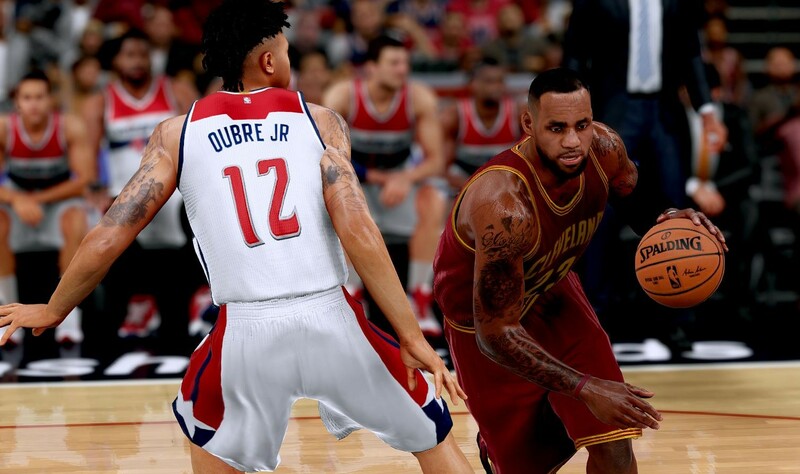 Do you want to win NBA 2K17 game online? Here we'll post some important tips on helping you compete with others. This article is a summary of plenty of veteran players' experiences. Limit careless turnovers, eliminate difficult shots from your arsenal, maximize your chances of making open shots, create easy shots, and tip in rebounds when you do miss shots. These are five ways you can start seeing improvement on the scoreboard. You need to limit your bad shots, and it goes hand and hand with slowing the game down. Don’t panic if you try to cross somebody up and it fails. Shooting a well-contested jumper or driving recklessly into three defenders when your first option fails is a recipe for disaster. Don’t pass up good shots for worse ones. Each time up the court, you want to come away thinking you took the best shot you possibly could, whether it went in or not. Achieving this requires slowing things down and taking your time. Patience is the key to any effective attack. Whether trying to throw Hail Mary passes, passing directly to a defender, or attempting alley-oops when players are well defended, we all tend to rush things at times. It’s easy to get tunnel vision when you set up plays too quickly. At that point, your only option becomes whomever you look at first, which can lead to trouble. One that can easily be prevented is throwing turnovers on the fast break. You have 24 seconds to get a shot off, slow it down a little bit and set things up. You may open a passing lane you wouldn’t have seen otherwise if you take the time to set up. Otherwise, you might be back on defense before you know it. Mastering your player's shot releases is also critical. It’s unfortunate when you repeatedly get wide-open looks with a capable shooter and brick constantly because your release points are all over the place. You want to get to the point where your good shooters are nearly automatic, and your poorer shooters can hit an open jumper at an above average rate. Get into practice mode now and learn every player’s shot release on the team you like to use—yes even the guy that only gets 5 minutes. So, when you get an open jumper, you can have all the confidence in the world, no matter who it is. The pick and roll is one of the simplest, and if executed properly, one of the most dangerous plays to run in basketball. It’s an easy way to cause a breakdown in the defensive zone and force the defenders to rotate. Constantly putting pressuring on the defense with a simple two-man pick and roll surrounded by shooters can be the basis of your offense. Mastering the tip-in is another key to online success. We feel accomplished when we make our opponent miss a well-contested shot, but when their big man puts it back immediately, it kind of hurts. Hit X on Xbox or Square on PS4 twice as the ball bounces off the rim and your forward will just toss it back in ever so gently, or yam it if he gets a running start. You won’t make it all the time, but it’s a lot more efficient than being under the rim with the ball. Every time you charge up the court, you want to maximize your chances of successfully coming away with a bucket and put as much pressure as you can on the defense as you can. As we mentioned in the second paragraph, aviod making unnecessary mistakes and maxize the chances of shoting, then the odds of victory will increase rapidly.